Smokers in San Luis Obispo will have fewer places to light up after Thursday when a city wide revised smoking ban goes into effect. Under the new law voted in by the City Council in April, smoking is banned in certain outdoor areas including sidewalks, parking lots, recreational area, bike trails and stadiums. 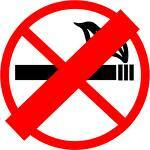 Violators of the smoking ban may be given citations by police. mrbishop – Try the truth, Second Hand smoke and claimed health risk’s are a myth, The EPA falsified it’s reports to suit the insurance companies. It was then picked up by BUNCH OF ACTIVISTS THAT DIDN’T LIKE SMOKING. They have managed to foist their preferences to include what people can do in their own apartments and standing on the streets away from other citizens. As a scientist who regularly writes about indoor air quality, I must approach this topic with an appropriate degree of objectivity: I do not have a vested interest in the politics of this matter, but I do have a responsibility – both as a biochemist and member of the scientific community – to dispel some commonly held myths about secondhand smoke and the risk of cancer. Unfortunately, the entire subject of secondhand smoke resides in an area of discourse heavily laced with activists, who, passionate about their mission of improving public health, far too readily exaggerate the dangers. A 40-year study of Californians, the largest study on secondhand smoke to date, has reached the conclusion that anti-tobacco extremists have been dreading: their claims about the health risks from secondhand smoke are bogus. A 40-year study of Californians, the largest study on secondhand smoke to date, has reached the conclusion that anti-tobacco extremists have been dreading: their claims about the health risks from secondhand smoke are bogus. The crusade encountered a major and unanticipated setback a few weeks ago when the British Medical Journal published a study by two U.S. researchers that found no statistically significant association between not only ETS and lung cancer but also between ETS and heart disease. Great information, thank you Cindy. I wonder if any information like this was brought up at the council meeting when they voted for this. What a complete joke the city council is. All time spent should focus around improving the economy not some smoking ordinance. I will purposely smoke downtown, get a ticket and beat it in court. The ban must be published on every sign at every street corner so that the public can be made aware. Waste some more money SLO, city run by the stupids. Can we enact a citywide ban of people with offensive body odor or even perfume? These really offend my senses much more than cigarette smoke.